Martinus Publishing is a small press specializing in Science Fiction & Fantasy, and uncanny stories in-between. We seek to discover and promote up-and-coming authors, and produce quality literature from today's best genre writers. Visit us often as we venture forth on our literary journey! Check out our Hit of the Month page for a free sample of our fiction. Throughout recorded history, there have been rules and regulations, customs and traditions. Some have been libertine while others oppressive; the morally strict and the sinfully decadent. There have always been those who impose the law, and those who reject it. Wherever there is civilization, there are things that are Forbidden! Forbidden is an anthology about that which is disallowed, whether it be the law or custom of a society, a particular group, or even just a single individual. Stories that illustrate the sense or insanity of that which is disallowed, all with an eye on adventure, world-building, and thought-provoking entertainment! From the distant past to the far future, explore 17 stories of individuals inventing, enforcing, partaking in, or resisting that which is Forbidden! A tale of ancient spirits and forbidden love. Trade on the high seas can cost a fortune, whether in taxes or blood. A murderer is killing young women during the Nixon era, and a forbidden government program may be responsible. A lawyer is asked to sue Satan, yet how does one trick the ultimate trickster? His daughter's death was due to an "act of God." But didn't that mean God was to blame? Technologically, it's not that hard for an Earth physicist to transcend space-time... the trick is to get past the 7th Council. When paper becomes exceedingly rare, books become forbidden relics. In a not-distant future, abortion has finally been made a crime equivalent to murder, and the police even have a special unit to entrap offenders. It may be illegal to take your own life, but not if the Government helps you. In a post-singular world where anything is possible, being normal may be the most radical act of all. In a world where numbers are forbidden, terror comes in the form of numerical grafitti. Long after the fall of civilization, a man who can't die struggles to give himself permission to live. In a society where loudness is prohibited, silence can be deafening. In some dark corners of the universe, even our very lives are Forbidden! In a primitive future where knowledge and literature are forbidden, Noah is content to be a loyal serf to his feudal masters... until Sergeant Davis shows him the spirit of rebellion. Martinus Publishing's Author Spotlight Series! A series of single-author e-book collections, Martinus Publishing's new Author Spotlight series will feature some of MP's favorite writers, including a mix of brand new and reprinted tales. 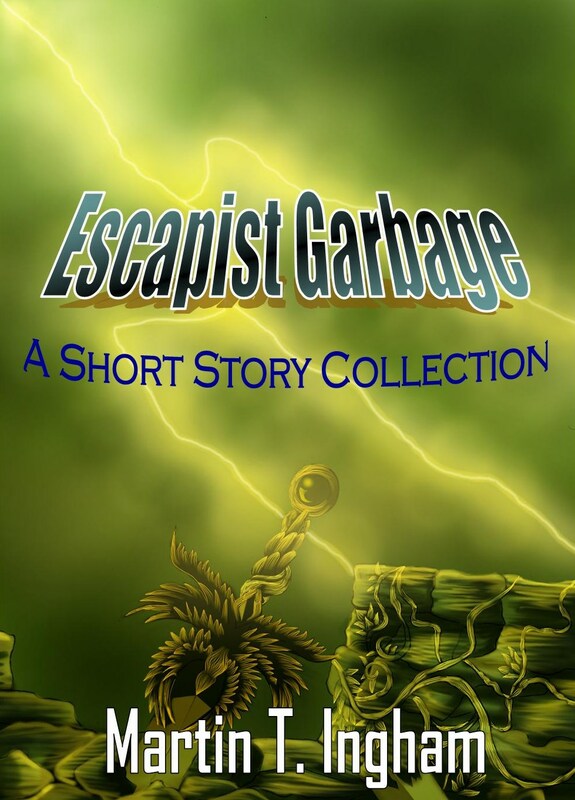 Get some of the best short stories from select authors, and keep an eye out for future installments. Order It Here For $2.99! Explore a myriad of worlds and realities with the imaginative insight of Bruno Lombardi! From hilarious to bone-chilling, these exciting tales will leave you dreaming of the possibilities of tomorrow, yesterday, and today! -It's a tough job being a time-traveling bartender, especially when people start talking about killing Hitler. -In a repressed future, the resistance must go to extraordinary lengths to sow the seeds of rebellion. -As mankind ventures into space, Death finds he needs a little help with the workload, and seeks fresh recruits to his business. -An impoverished miner gets more than he bargained for in his quest for wealth during the Canadian gold rush. -To become a crime-fighting super hero, one must take mentorship from... his childhood teddy bear? -A brilliant scientist discovers who the true enemies of humanity are and goes to extreme measures to fight them... or is he simply mad? 8: The Amazing Adventures of Frank Lomanno! -An aspiring writer finds himself daydreaming through his mundane life, until his reality becomes stranger than fiction. Prisoner of war Warren Caruso plays a deadly game of cat and mouse with alien captors who wish to train themselves against human prey. A murderer preys upon the past, and Temporal Agent Jack Baker must uncover his identity before the future is rewritten forever. What fame awaits the legendary hero who slays the notorious troll of Bannocksburg bridge? Pirates of an alien sea seek the ultimate prize, a cyborg's head, and with it a means to escape to the stars! 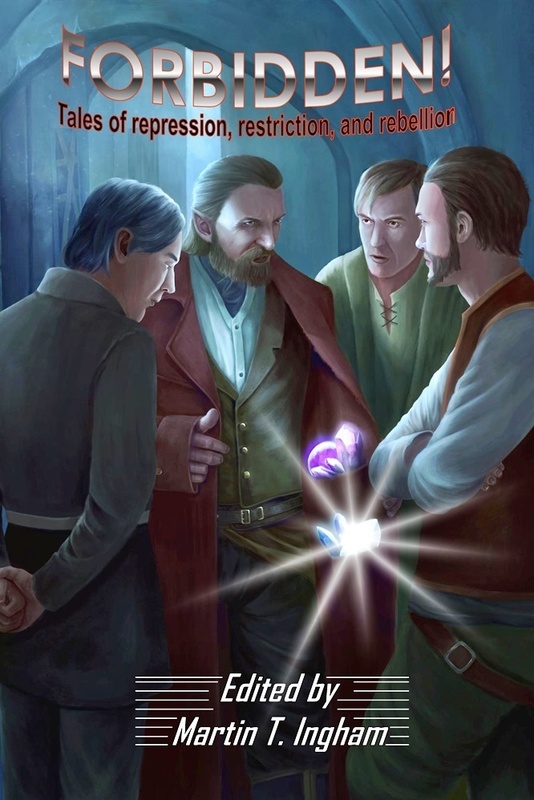 The introduction to Martin T. Ingham's "West of the Warlock" book series, dwarven gunslinger Boron "Ron" Grimes comes to the wild west town of Selwood, Nevada, in search of the half-elf who murdered his brother. His only obstacle to avenging his kin lies in the form of the local sheriff, James Doliber, a certified Warlock with a mandate to uphold law and order, while seeking justice all the same. From Martin T. Ingham's "Rogue Investigations" book, John Rage receives a clue to his heritage that leads him to the remote town of Icewater Springs, Alaska. Paired with his recent investigative partner, Amanda Alfaro, Rage will uncover a mystery beyond imagining frozen in the Arctic ice, and learning the truth about his grandfather will threaten to make him a permanent resident of the glacier! Max Colwell wakes up one morning to find himself on an alien world, in a refugee camp populated with human beings from a wide span of Earth's history... and it's future. Yet, what is the meaning of this strange collection of humanity, and what does it portend? Heroes are the people we all dream of being. Whether it’s a teenaged boy in West Texas caught in a war, a billionaire intent on saving the spirit of his nation or a starship captain hundreds of light years from earth, they all want to be the best people they can. This book is dedicated to those who have to make those monumental choices and perhaps the ultimate sacrifice. 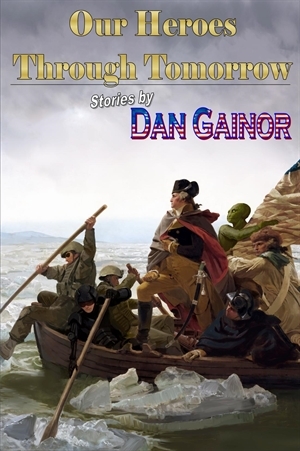 Nationally recognized media critic and writer Dan Gainor has woven tales of alternate history, time travel, aliens, zombies, space epics and war into a collection any lover of classic sci-fi should love. In a future where nuclear weapons no longer function, conventional warfare rears its ugly head as America becomes the target of a hostile invasion, and a young computer wiz finds himself in the thick of the fight. A billionaire rancher seeks to rekindle the spirit of America... by cloning the Founding Fathers! A science-fiction epic of alien worlds, conjoined souls, and one man's quest to become the ultimate warrior. College students set out on a quest to prove that time travel is possible, only to find themselves stranded in an all too familiar past, with a crucial decision to make about altering fate. Aliens seek to neutralize the "human threat" through a virus that makes "zombies" all too real... only, what will be the true consequence of this bio-warfare? In a future where humanity is conquered and fragmented amidst the stars, the last soldiers must hold the line between warrior and pirate as they struggle to fight for freedom and survival. Order Your Kindle Copy Today! *All website content is copyrighted. No use without permission.